A poet laureate of family and morality, Hirokazu Kore-eda’s humanist triumphs include “Like Father, Like Son,” (NOSFA film) a meditation on the meaning of parenthood that picked up the jury prize at Cannes in 2013. 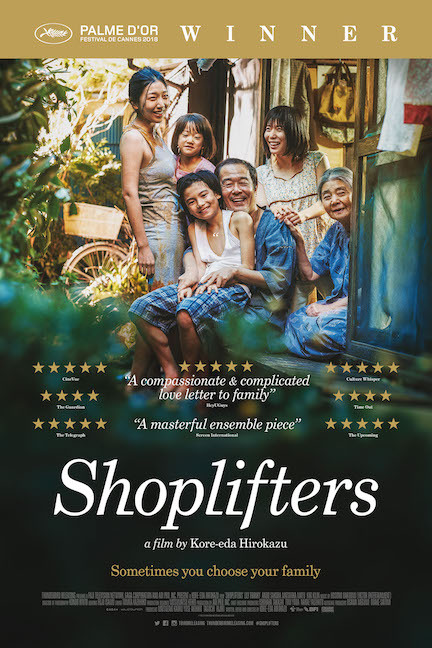 “Shoplifters,” which won the 2018 Palme d’Or at Cannes, revisits the theme and goes deeper, telling a story about a Tokyo family that subsidizes its working-class existence with petty thefts. Things are particularly cramped in the two-room apartment of a retired granny (“After the Storm’s” Kirin Kiki) who makes everyone hide when the landlord comes around. She’s supposed to be there on her own, not bunking down with her family, who scratch out an existence through tenuous jobs and little store-raiding forays. One cold winter night, they bring home a neglected little girl they find on the street, intending to take her back after she’s been fed and warmed up. In time, though, we learn she’s more like them than she seems. Kore-eda unveils the family’s manifold mysteries slowly, with beguiling grace. When the shoplifters execute their crimes, they usually do so with slick cunning and leave their victims none the wiser, more so appearing mischievous than mean-spirited. The director, though, reaches in and steals your heart right in front of your eyes, like a magic trick, and you have to admit you didn’t even see it coming.